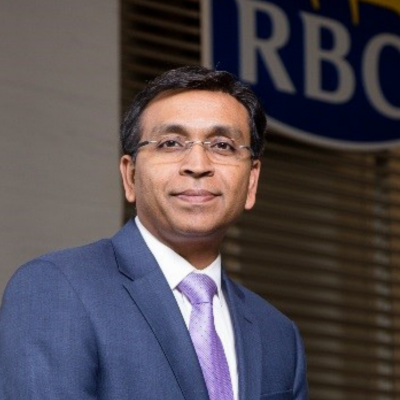 As a Global Leader for Corporate Social Responsibility at RBC Procurement, Kiruba is responsible for the strategy development and execution of Supplier Diversity Program for Global Procurement. To enable program success Kiruba works collaboratively with various procurement category managers to support supplier diversity program goal. He acts as CSR advocate with in RBC procurement and to external stakeholders & suppliers. Prior to his current role, he was Director, Procurement responsible for IT Professional Service Category supporting Technology & Operations across all business units of RBC. Kiruba has been honoured with Procurement Business Advocate of the Year Award in 2017 by CAMSC and Corporate Leader by WBE Canada in recognition of his outstanding leadership in implementing Supplier Diversity in Canada.